Christmas is just around the corner. For most people, it is a time to look forward to. A season filled with merriment, food and quality time with loved ones. Growing up, however, I used to dread it. 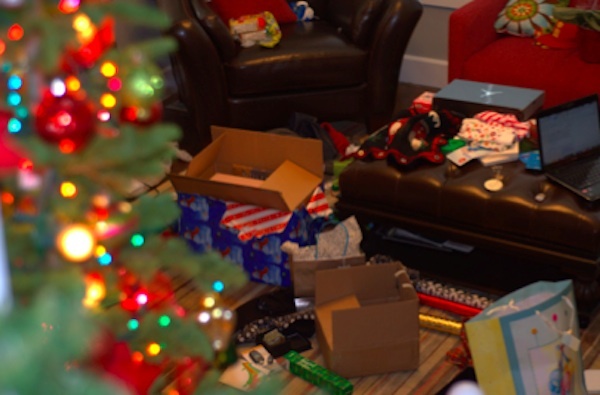 For me, Christmas festivities meant a major clean-up had to take place afterwards. As the youngest girl, it went without saying that I would help my aunt with the cleaning. That’s just what good Malawian girls do. Oh, how I dreaded those mornings after. I would sink deeper into my bed, wishing the covers were actually the portal to Narnia, and it was such an international secret that C.S. Lewis tried to deceive people by saying it was a wardrobe in an old country house. My imagination held no regard for chronological integrity. Of course, my aunt had a knack for shattering such fantasies. And I knew not to ignore her call; I valued breathing. It was always the same regime. First things first, I reported to the kitchen to get my marching orders. If my older cousins were around, they would pull rank and use the only good set of gloves. The pair offered about as much protection as a teabag. I was always stationed for dish retrieval from enemy grounds – and what treacherous grounds my brothers’ rooms were. Not only did I have to traverse the mounds of cloths and scattered toys concealing a once beige carpet, my youngest brother had an interesting quirk. He had a tendency to, er, occasionally mark his territory in his half-asleep state. Of course my brothers took no sympathy on me; they felt compelled to communicate as emphatically as possible their ability to continue sleeping. Like the typical veteran, my aunt was rather partial to archaic methods of cleaning. For her, straw bound on one end of a stick with coarse thread swept better than any modern contraption. The laborious task of remaining bent over, while ensuring I got to the corners, seemed to be a Sisyphean task. Protesting wouldn’t help – it needed to be done to my aunt’s standards. I dreaded the debriefing. Of course all cleaning had to be done in an orderly swift fashion. We had to be sure to finish early enough to allow time for Boxing Day brunch. All that meant was that my service was not over, and I would be engaged for yet another tour after lunch. The following year I was adamant I would not have another repeat of the whole ordeal. From January, I planned my strategy. I knew a critical pawn in my plan was my Dad. Like a typical Malawian father, his word was law. He always considered himself quite tech savvy. He had a Twitter account before me, although that’s as far as it went. This professor in quantum mechanics couldn’t quite grasp the concept of a tweet. With that said, I knew I had to find something that could replace the loathed straw sweeper, and make my dad think he was the ultimate provider who was in the know with all things technology. I did my research and found the Holy Grail. I almost cried when I read those two simple words in a vacuum cleaner description, “edge cleaner”. It was perfect; it would even sort out my brother’s ‘eau de toilette’ problem. Now the next step was bringing it up with Dad. My Dad was sitting in his throne. You know that Dad chair that no one ever dares even think of sitting in, and always has the best view of the TV? He was in a good mood and he had just finished watching news. The football game was going to start in a few minutes. It was now or never. I casually brought up Uncle Pete. Him and my dad had a weird, passive aggressive ‘keeping up with the Jones’ rapport I knew I could exploit. I just happened to casually mention a brand new vacuum cleaner that my cousin supposedly told me he bought. Of course I subtly described how amazing it is. At the same time, I made sure to remind him of the old straw sweeper, which set the wheels turning in his head. I knew I had him right where I wanted him. My dad, being the most creative person in the world, had the most innovative password on his desktop: “password”. Knowing that he always did a little work in his office after the football and before he retired to bed, I left the browser open to the page with the vacuum cleaner specs. Like clockwork, we had the vacuum cleaner delivered the very next month. And as to be expected, my aunt protested – but once my Dad put his foot down, the straw sweeper was no more! It took all I had to not do my happy dance. What I didn’t expect though, is how quickly my aunt warmed to it. I thought I would hear her moan about losing her beloved straw sweeper, but she actually loved our new vacuum. Thanks to that lightweight contraption, Christmas cleaning was no longer the nightmare it was. I did my part as a good Malawian girl, and still had time to visit my best friend down the road. I’ve looked forward to Christmas festivities ever since. BISSELL‘s goal is to help you improve the ways you take care of your home, right down to the microscopic irritants. They have set the standard for clean since 1876. I’m hiring someone the clean this year! Sigh if only my parents said those beautiful words: “we’re hiring help!” It just didn’t make sense to them if there are young people around. cleaning up a mess is no fun but having someone else to chip in on the clean up is great. We always make all the kiddos chip in. Even the little one. Great story! We try to all pitch in and do a little something so no one has to bear the work load all alone. It’s even more fun when we get a little silly! I’m just thankful on occasions like this that I only have one child & an old dog to make messes. I am not a fan of the cleaning up at all!!! I am glad I am not alone on that feeling!! I’m so going to need this come Christmas day. I hate that it takes hours to clean and like 10 seconds to mess up. We try to clean up as we go, but I would love someone to come and do it for me. This year my son got up after each present & threw his wrapping paper away without me even asking him to. It made clean up so much easier!